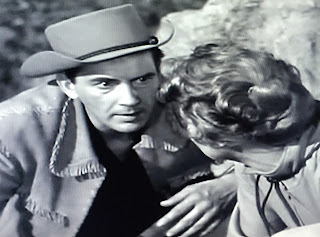 MAVERICK: "Prey of the Cat" (1958 ABC/Warner Brothers TV) Starring Jack Kelly as Bart Maverick, Wayne Morris as Pete Stillman, Patricia Barry as Kitty Stillman, Barry Kelley as the Sheriff, Yvette Duguay as Raquel Morales, William Gordon as Fred Bender, William Bryant as Chase. Written and Directed by Douglas Heyes. After making the acquaintance of jovial cattleman Pete Stillman on a cold, windy night in Woodstone, Bart suffers a broken right leg when his horse is spooked by a mountain lion. Since Maverick faces several weeks' healing before he can ride again, Pete insists that the stranger convalesce at his Star Trail Ranch. During his extended recuperation (which includes the Christmas holiday), Bart learns that Pete's wife Kitty is a Chicago transplant who isn't especially happy at Star Trail or with her marriage. When he realizes that Mrs. Stillman has designs on him, Bart resolves to leave as quickly as possible--but he meets resistance from the unsuspecting Pete. Mr. Stillman insists that Maverick come along and help hunt for the mountain lion that has been menacing his cows since Bart's accident. It's a hunt that proves fatal for the rancher, and the gambling newcomer is an easy target for blame by the suspicious Sheriff. Then Bart learns that it was a bullet fired by Kitty that killed Pete--and her shot was intentional. 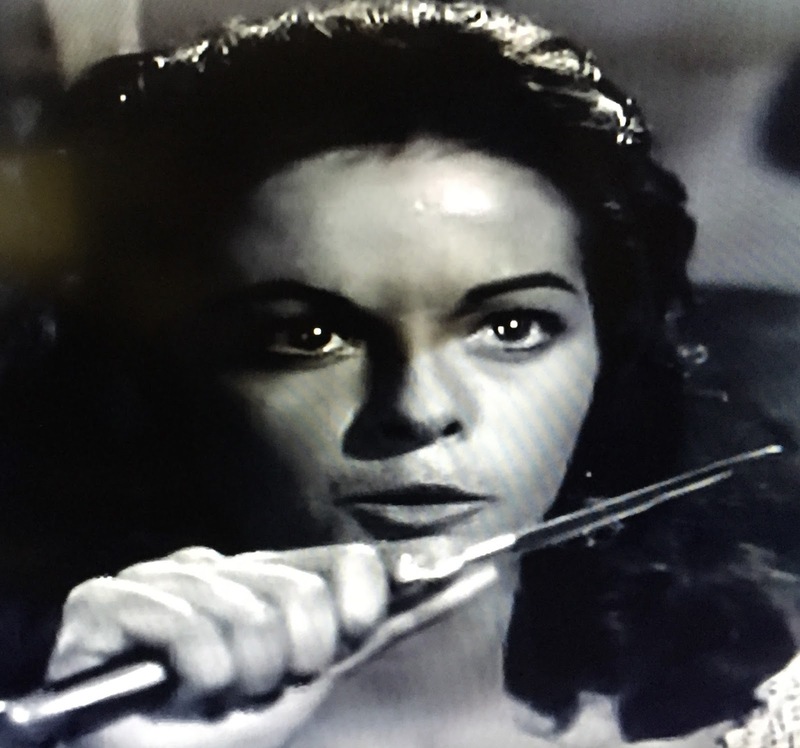 Douglas Heyes wrote and directed a noir-ish segment for each Maverick brother during the highly acclaimed second season. Garner's was Escape to Tampico, in which Bret also makes a sympathetic but doomed new friend. 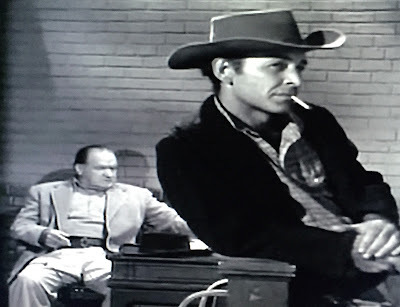 While Escape to Tampico is much more of a "straight" western than the typical Garner outing, it's positively light-hearted compared to what Heyes had in store for Jack Kelly. 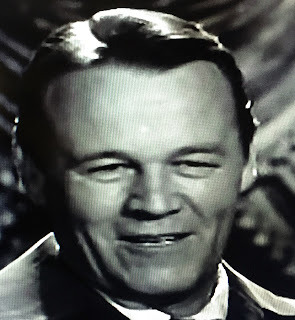 Prey of the Cat is the grimmest MAVERICK episode, bar none, with a situation going completely against Roy Huggins' oft-stated guideline for the show: it is deadly serious in addition to being as hopeless as usual. The opening scene induces a few smiles, as Bart tricks ranch foreman Bender out of a chair next to the wood stove. Your jaw will stay tightened after that: Prey of the Cat turns as cold as the temperature on that windy night. It's a story with three tragic figures all ruined by unrequited love: the Stillmans and Raquel ("Rachel", Pete teases) form the real triangle in Woodstone. All three love someone who doesn't reciprocate the feeling, though only Pete Stillman is doing so unknowingly. 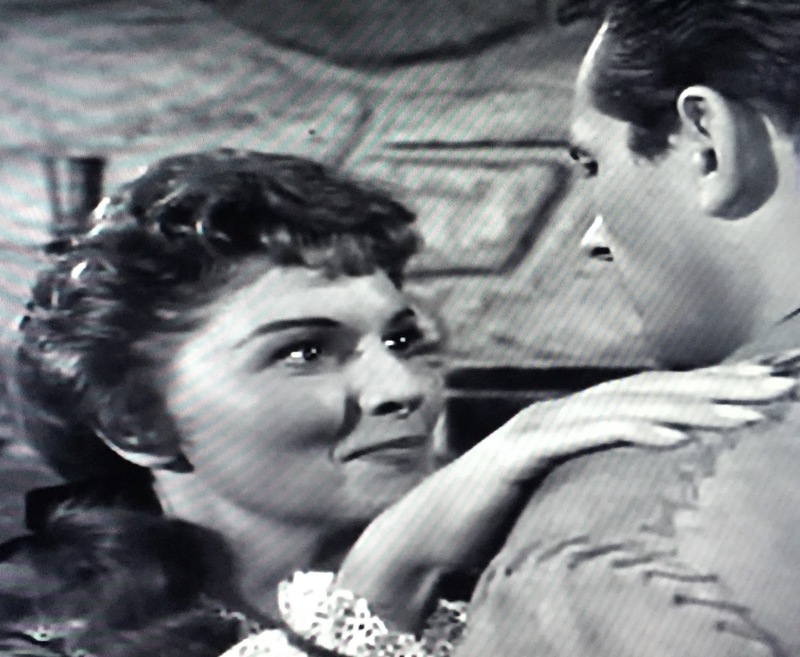 The rancher chose the fair-skinned lady from Chicago over the Hispanic woman who truly loves him: the end result for Pete was a wife who accepted his proposal despite indifferent interest in him and his ranch. Kitty is calculating--note how quickly she does math in her head--but she's just as delusional about Bart's feelings for her as she was about her own feelings for Pete. Mrs. Stillman "can never truly love something" unless she "makes it her own". Raquel is also hiding her true feelings: she's devastated to have lost the man she has always loved to an outsider. We see hints that Pete--despite his public proclaimation that Kitty is his "smartest choice" ever--might subconsciously regret the marriage. Note the contrast between the humorless, awkward dialogue between Mr. and Mrs. Stillman and the effortless rapport Pete still has with Raquel in what seems like daily banter. 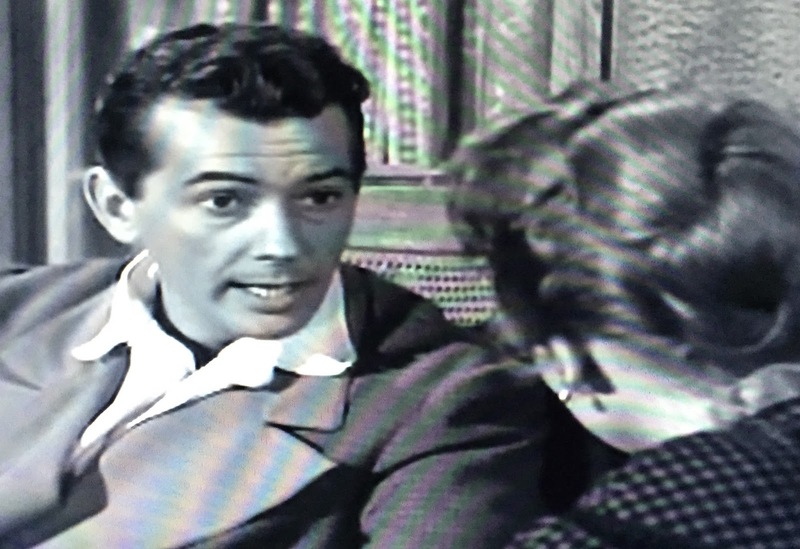 Raquel asks him why he isn't "home with his wife" in the opening scene, and it's a good question: it's a freezing night outside, yet Mr. Stillman is in front of a wood stove in town with his bunkhouse workers and his ex. Loyal, generous, fair and good-natured, Pete Stillman's misjudgment of Kitty's interest level is his fatal flaw. He's allowed her to slowly take over the ranch in all but name in an effort to keep her happy, and everyone thinks he's succeeded. Caught in the middle, innocent Bart Maverick almost becomes a fourth tragic casualty in Prey of the Cat, with the Sheriff joining all of Pete's loyal employees who blame the outsider for their boss' death. 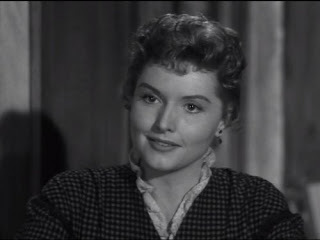 Patricia Barry (Two Beggars on Horseback) is up to the challenge of playing what has to be the most disturbing and unhinged female in the series' run. Kitty is stunningly beautiful (and aware of it) and highly intelligent, yet bitter about giving up Chicago for this impressive but remote town with a man she doesn't truly love. Her attraction to Maverick reveals that she has bad boy syndrome--Pete is simply too nice a guy for Kitty. 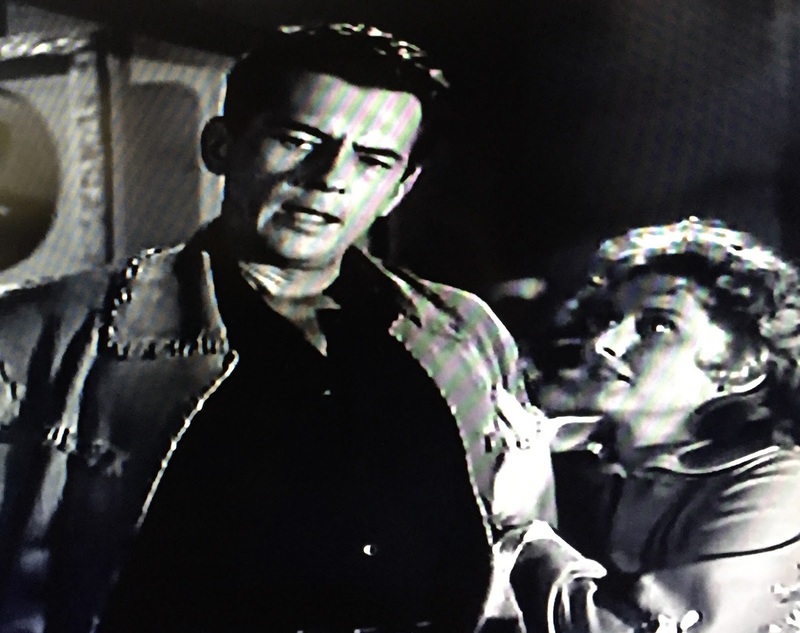 Bart Maverick, a self-described "drifter and gambler", excites Kitty, and the "edgy" outsider gets her--she thinks, anyway. Kitty shows increasing psychosis triggered by Bart's rejection but she remains sane enough to use the situation to ensnare him. 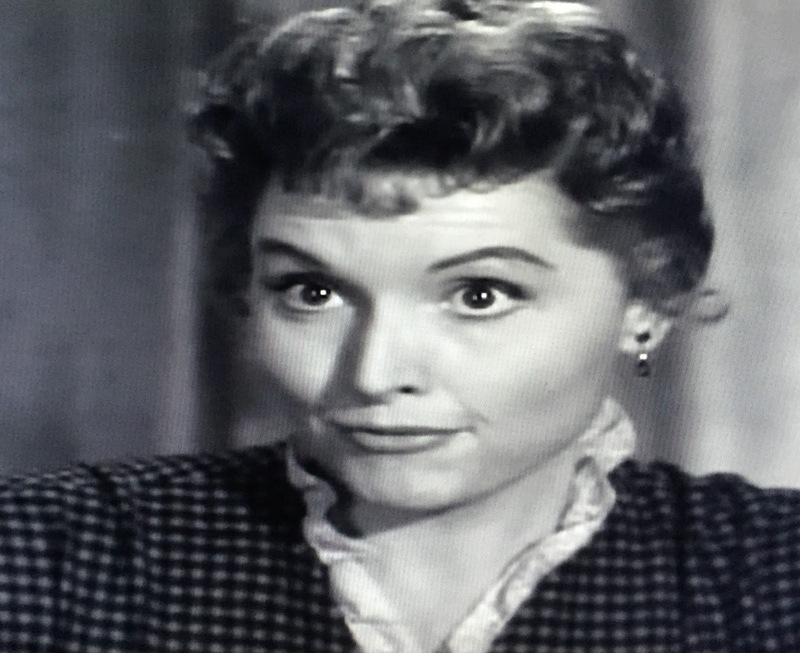 In short, Kitty is one scary lady. Only poor Maverick has seen the unmasked Mrs. Stillman: she has the entire town snowed ("No two people were ever as good together as those two!" the Sheriff asserts.) 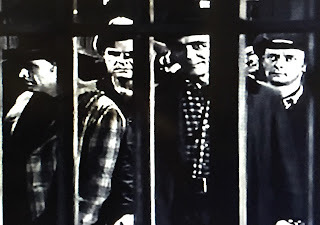 to the point that the lawmen and other seemingly civilized people like Bender and Chase are turned into a bloodthirsty lynch mob as a result of her machinations. Somewhat surprisingly, Prey of the Cat is not a script recycled from a more conventional WB series. Despite the lack of levity, Heyes wrote it specifically for MAVERICK, and avoids some of the errors made by others who attempted "straighter" installments. Epitaph for a Gambler (for example) had Bart Maverick doing way too many things that were out of character to engross the show's audience: Heyes' script, while unrelentingly solemn, is sermon-free and faithful to the Bart we've come to know. The writer-director was only one of the many top-notch creative minds (Huggins, Hargrove, Hughes) sorely missed after that landmark 1958-59 season. Wayne Morris was fated for an early demise less than a year after Prey of the Cat aired. The World War II hero and rising Warner Brothers star of the pre-War years was as busy as ever (nine credits during 1959 alone) when he died suddenly of a heart attack on September 14, 1959. He was only 45. Heyes usually cast fellow writer William D. Gordon as an actor in his MAVERICK and TWILIGHT ZONE projects, and Gordon makes a solid impression as the ranch's loyal but guarded right-hand man. The episode also marked one of the last acting roles for stunning Fifties starlet Yvette Duguay, who was 28 when she retired from the screen in 1960. Despite all those ranch hands at the bunkhouse and all that time convalescing, Bart finds no time for real poker. He relieves his boredom by teaching Mrs. Stillman a few basics of the game while staying off his broken leg, almost losing a lot more than just valuable table hours through no fault of his own. Only the revelation that Bart made him two promises: he'd never hold a drink or a steady job. 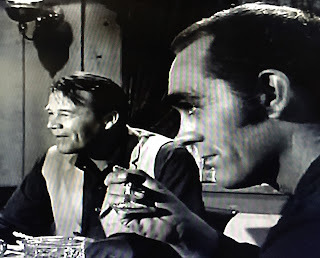 Stillman tries mightily to keep Bart around for the latter after he heals, so one of Pappy's proverbs heard that we hear two seasons later (in The Ice Man) applies here: "Never impose too long on a man's hospitality. He's liable to put you to work." MAVERICK currently airs Saturdays at 4 PM Eastern, 3 PM Central and Sundays at 4 AM Eastern, 3 AM Central on Cozi-TV. Has anyone done a study of the work of Douglas Heyes? Not to my knowledge, but he'd be a fantastic subject for one. 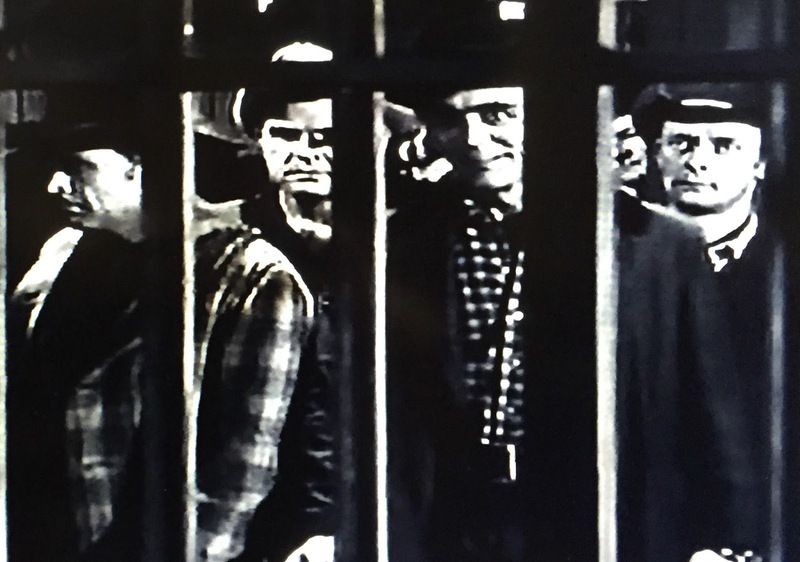 The scene with Bart facing the lynch mob is as terrifying as anything Heyes produced for The Twilight Zone. Hayes wrote some CITY OF ANGELS episode. He was excellent. 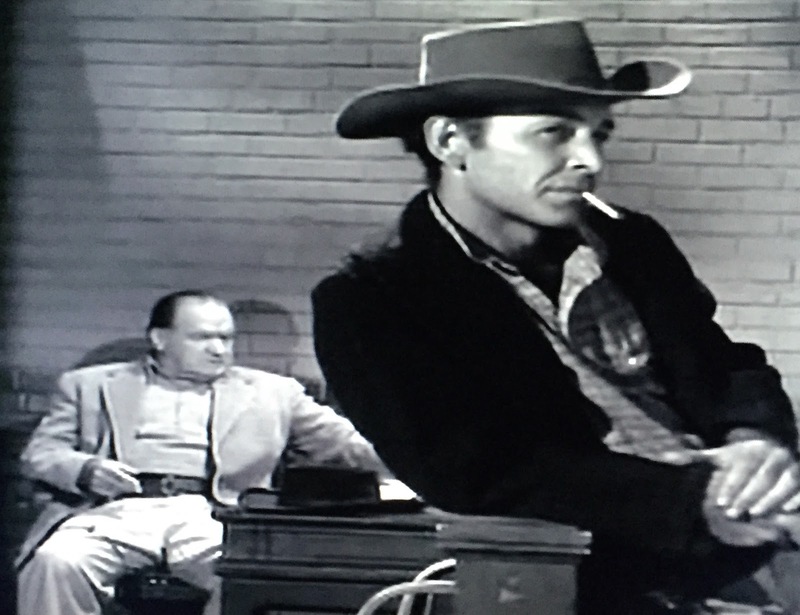 So is this write-up -- a terrific and disturbing little noir western. I absolutely love this episode (top 10, maybe even 5 for me). I went into Maverick because of James Garner and while I do adore Brett it was after this episode that I realized Bart was probably my favorite Maverick. Sure I love the usually light and charming tone of the series but I think it is okay to do something different for a change and as someone who loves Film Noir I guess this episode just naturally appealed to me. And what works for me with this episode is right to the end it keeps its dark & cynical Noirish feel with Bart riding off alone & friendless as he leaves behind the town that not only lost a decent man in Stillman but they also lost a bit of their humanity in what they came so close to doing. And I felt Jack Kelly's performance in the lynching scene was incredibly intense. It felt real & raw. Kelly is very underrated. The very best episodes have both Bret and Bart -- their chemistry is amazing.